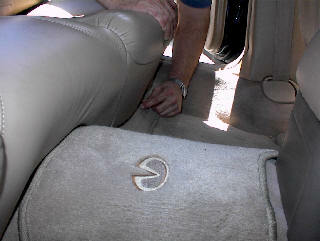 1) Pull two tabs at front edge of bottom seat cushion. 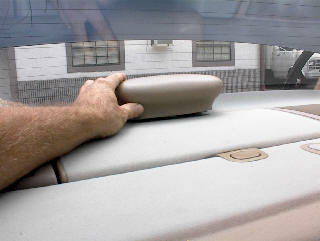 2) Pull front edge of seat cushion up releasing back edge and remove. 1) Remove screws at both ends of upper cushion. 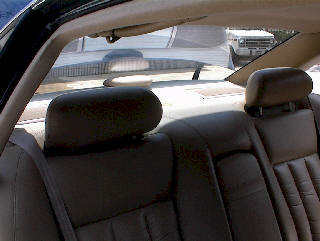 1) Lower center arm rest. 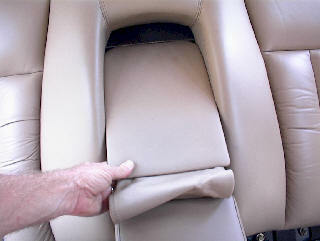 2) Release cover from center arm rest. 1) Remove two exposed screws. 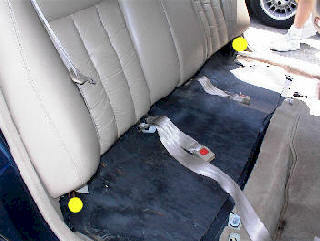 2) Lift rear seat cushion straight up releasing tabs from hooks and remove rear seat cushion. 1) Release center brake light assembly. 1) Disconnect connector and remove. 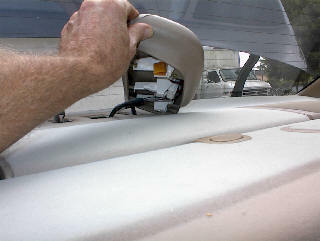 *NOTE - When reinstalling rear deck cover, be sure to feed this connector back through panel. 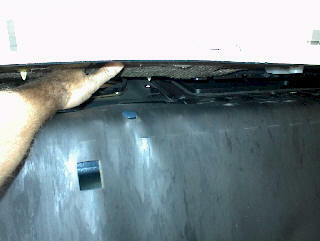 1) Lift rear deck cover, releasing clips and remove. 1) Remove four screws securing each Bose speaker with amplifier to rear deck. 2) Lift rear Bose speaker and amplifier from deck, disconnect connector. 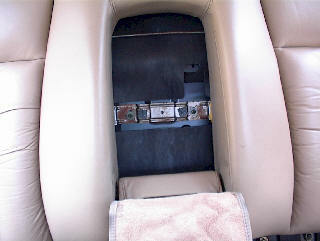 3) See our Shipping page and Free Repair Estimates. 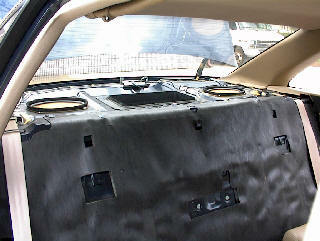 *NOTE - Check center dust covers on speakers, if they are loose speakers will sound distorted with bass at higher volumes. Glue! Rear Bose Speakers, 6 X 9's, sound distorted at higher volumes?